Playa de los Pocillos is a fairly low key resort located between Lanzarote's liveliest holiday spot, Puerto del Carmen and its recently developed sister resort of Matagorda. 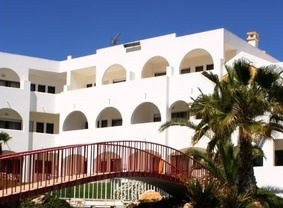 A major plus for the resort is that it only takes a convenient 10 minute taxi ride to cover the 5 miles distance from Arrecife airport to your holiday hotel or apartment. Los Pocillos itself lines the wide sweeping beach, one of the largest on the island of Lanzarote. The resort is home to a cross section of quality hotel accommodation with choice of board arrangements from Bed and Breakfast to All-Inclusive. There are three commercial centres along the resorts 3 kilometre length, they are Los Pocillos, Costa Mar and Jameos Playa in each of these centres you will find a good choice of restaurants, bars and shops. Filling in between the commercial centres are a good range of holiday accommodation including several 4 star hotels and aparthotels. If you enjoy a stroll there is a wonderfully wide traffic free promenade that connects the resorts of Matagorda, Playa de los Pocillos and Puerto del Carmen. Los Pocillos is a great choice for families and couples that wish to have a relaxing holiday in a fairly laid back resort but like the option of the lively opportunities provided by the bustling resort of Puerto del Carmen a short ride (or leisurely walk) by taxi away. If you have had enough of the pool or beach Los Pocillos is a great base to discover other parts of the island, excursions could include a visit to the Timanfaya National Park, home to more than 100 volcanoes, stunning lunar type craters and volcanic tunnels, or the Cave of Los Verdes, a spectacular underground cave system formed 3000 years ago, then there is the Castillo de San Jose a castle built in the late 18th-century overlooking Arrecife harbour.